Obesity among children and adolescents has dramatically increased over the past two to three decades and is now a major public health issue. During this same period, youth exposure to media devices also became increasingly prevalent. Here, we present the novel hypothesis that media multitasking (MMT)—the simultaneous use of and switching between unrelated forms of digital media—is associated with an imbalance between regulatory processes and reward-related responses to appetitive food stimuli, resulting in a greater sensitivity to external food cues among high media multitaskers. This, in turn, may contribute to overeating and weight gain over time. To test this hypothesis, we conducted two studies examining research participants who grew up during the recent period of escalating multitasking and obesity—and among whom 37% are overweight or obese. In Study 1, participants’ propensity to engage in MMT behaviors was associated with a higher risk for obesity (as indicated by higher body mass index and body fat percentage). Next, in Study 2, a subset of participants from Study 1 were exposed to appetitive food cues while undergoing functional neuroimaging and then, using passive mobile sensing, the time participants spent in various food points-of-sale over an academic term was inferred from GPS coordinates of their mobile device. 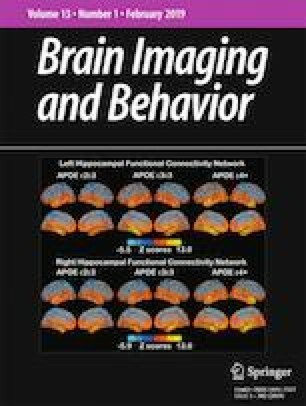 Study 2 revealed that MMT was associated with an altered pattern of brain activity in response to appetizing food cues, specifically an imbalance favoring reward-related activity in ventral striatum and orbitofrontal cortex—relative to recruitment of the frontoparietal control network. This relationship was further tested in a mediation model, whereby increased MMT, via a brain imbalance favoring reward over control, was associated with greater time spent in campus eateries. Taken together, findings from both studies suggest the possibility that media multitasking may be implicated in the recent obesity epidemic. Hypothesis, study concepts, and designs by R.B.L., D.D.W., and T.F.H. Data acquisition and analysis was performed by R.B.L. R.B.L, T.F.H. and D.D.W. all contributed to the final version of the manuscript. This study was funded by the National Institutes of Health, specifically the National Institute on Drug Abuse (grant number R01DA022582). Author Lopez declares that he has no conflict of interest. Author Heatherton declares that he has no conflict of interest. Author Wagner declares that he has no conflict of interest. Before running Studies 1 and 2 reported above, we examined whether the most popular assessment of MMT, the media multitasking inventory (Ophir et al. 2009), would be a viable assessment of media multitasking tendencies, and whether it related to proxies for self-control success/failure in the eating domain. To this end, we administered the Ophir inventory along with an assessment of BMI and trait self-control (Tangney et al. 2004), in a web-based survey to the Dartmouth introductory psychology and neuroscience participant pool across several terms (N = 673, 426 females). We found a significant but weak association between MMT scores and self-reported BMI, r(671) = .082, p = .034, as well as a significant negative association between MMT scores and trait self-control, r(671) = −.254, p < .001. Participants in this sample often reported that the MMT inventory was tedious and at times difficult to complete, due to formatting of the questions and what participants were asked to report (i.e., separately estimating the percentage of time using 10–11 forms of unrelated media while engaging in a primary communications medium, and then repeating this estimation procedure 11 additional times with other media serving as the primary medium). Moreover, the relatively small effect sizes raise the possibility of low construct validity of Ophir and colleagues’ MMT inventory. With these considerations in mind, we developed a new scale (MMT-Revised; MMT-R) that more concisely assesses media multitasking and its related distractibility (see below, also: Lopez and Heatherton 2017; Lopez et al. 2018). Originally, there were 30 candidate items in the MMT-R that we administered in a large participant pool sample at Dartmouth (N = 995). Some of these items tapped other traits that we hypothesized may show overlap with multitasking (e.g., impulsiveness, conscientiousness). With all 30 items, we calculated item-total correlations, which ranged widely (−0.022 to 0.561). For all subsequent analysis, we excluded items that had relatively weak or near zero correlations (i.e., by r < .3 by convention). The remaining set consisted of 18 items (see Table 1, below), and we found there were strong inter-correlations among these items based on Bartlett’s Test of Sphericity, χ2(153) = 4948.6, p < .001. Internal consistency was also sufficiently high, Cronbach’s alpha = 0.86 (Cronbach 1951). Next, in order to test whether these items were conducive to factor analysis, we calculated measure of sampling adequacy (MSA; Kaiser 1974) for all items. MSA values ranged from 0.835 to 0.923, and the Kaiser-Meyer-Olkin (KMO) index was 0.881. Given this relatively high covariance between items, we submitted the items to a principal components analysis, which we performed with an orthogonal (varimax) rotation, to see if there would be unrelated factors that jointly contributed to capture MMT behaviors. This factor analysis returned two factors that collectively explained 39% of the total variance. Item loadings were relatively interpretable, in that items generally loaded on one factor or the other, with 14 out of the 18 items having ≥ .5 loadings on either factor and factor loadings across all items were strongly negatively correlated, r(16) = −0.85 (95% CI: -0.636, −0.943), p < .001. The factors seemed to generally reflect either: (1) (pro)active behaviors of compulsive or inappropriate phone checking (e.g., “When talking to someone face-to-face, how often do you feel the urge to check your phone for unread messages, notifications, etc. ?”); or (2) more passive tendencies that encompass interference, distractibility, procrastination, and multitasking (e.g., “How often do you find yourself procrastinating by viewing media content online?”) (See Table 1 for all item loadings). How often do you check your phone when you shouldn’t? (e.g., during a meeting or lecture). When driving, how often do you reach for your phone to check for texts/calls/notifications? How urgently do you feel the need to check for possible text messages or emails? How distracted are you by alerts or notifications on your phone’s lock screen? How often do you send texts during class? When talking to people, how often are you distracted by your surroundings? How often do you check for texts or emails while watching a movie in a theater? If you are in the middle of a conversation and receive a notification for a new text or email, how likely are you to check it? How often do thoughts about what you are doing next interfere with what you are doing in the moment? How often do alerts/notifications on your phone interfere with what you’re doing? When talking to someone face-to-face, how often do you feel the urge to check your phone for unread messages, notifications, etc.? How often does your multimedia use interfere with your homework or work? How much would other people describe you as being easily distracted? In a movie theater, how often are you distracted by other people sitting around you? To test for multiple types of validity of the MMT-R scale, we administered Ophir and colleagues’ original MMT inventory, the MMT-R scale, and trait self-control in a separate college-aged sample (N = 87, 59 females). First, we found that the MMT inventory by Ophir and colleagues and the MMT-R scale were significantly correlated, r(85) = .381, p < .001. The original MMT inventory was negatively correlated with trait self-control, r(85) = −.199, p = .065, but scores from the MMT-R scale were more robustly associated with (reduced) trait self-control, r(85) = −.588, p < .001. This latter correlation coefficient (−.588) was significantly lower than the former (−.199), z = 3.741, p < .001. Lastly, to examine test–retest reliability, we found that scores on this 18-item version were relatively stable over time (i.e., beginning versus end of an academic term) in a separate participant pool sample (N = 135), r(133) = .80 (95% CI: .73, .85), p < .001. We have made the MMT-R scale available for research purposes at the following link on the Open Science Framework: https://mfr.osf.io/render?url=https://osf.io/vrdh6/?action=download%26mode=render.